The Adipogenesis Assay kits provide the tools to study the compounds that stimulate cultured human adipocyte differentiation or lipogenesis. Such compounds may be PPARγ agonists or a combination of thiazolidinediones and glucocorticoids that are potentially useful in the treatment of diabetes. The kits are available to test potential PPARγ agonists or glucocorticoid analogs in human cells in a 96 well format. The triglyceride assay kits provide quantitative data on triglyceride accumulation in cultured cells. This assay is suitable for both human and animal primary cells and cell lines. All kits are 96 well format. 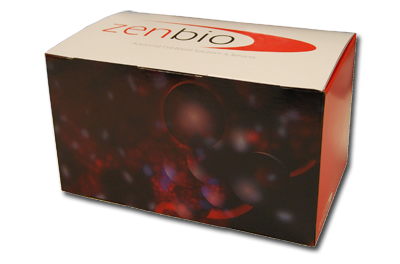 Contact ZenBio for information on other formats. Triglyceride assay kit used in adipocyte differentiation study (Berry, Soltanian, & Noy, 2010). 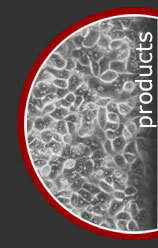 Triglyceride assay kit used in microRNAs that control lipid droplet formation in hepatocytes study (Whittaker, et al., 2010). Triglyceride assay kit used to measure triglycerides in primary human adipocytes (McDonough, et al., 2009). Triglyceride assay kit used to measure triglycerides in human retinal pigment epithelial cells after siRNA-mediated knockdown of FABP5 (Wu, et al., 2010). Triglyceride assay kit used to measure triglycerides differentiated human white adipocytes (Catalioto, Maggi, & Giuliani, 2009). Human Adipocyte Differentiation Assay Kit ?? used to measure triglyceride produced during differentiation of mouse mesenchymal stem cells (D1 cells) (Xu, Gomillion, Maxson, & Burg, 2009). Triglyceride kit used to measure triglycerides in hepatitis C infected livers (Kim, et al., 2008). Lipid Staining Kit used to examine effects of PPAR-gamma on lipolysis in 3T3-LI cells (Tsukahara, Hanazawa, & Murakami-Murofushi, 2010). Atiporn Thuangtong, M.D., Daroonporn Lertpongparkpoom, M.D., Chatchawan Srisawat, M.D., Ph.D., Sarawut Junnu, B.Sc., Busadee Pratumvinit, M.D. doi: 10.1194/jlr.D059758The Journal of Lipid Research,jlr.D059758. Effect of Ceramide on Mesenchymal Stem Cell Differentiation Toward Adipocytes. F. Xu, C. C. Yang, C. Gomillion and K. J. Burg Appl Biochem Biotechnol. 2009. Inhibition of Histone Deacetylase Activity by Valproic Acid Blocks Adipogenesis. Diane C. Lagace and Mark W. Nachtigal J. Biol. Chem., Apr 2004; 279: 18851 - 18860. Cyclic Phosphatidic Acid Influences the Expression and Regulation of Cyclic Nucleotide Phosphodiesterase 3B and Lipolysis in 3T3-L1 cells. A Growth Hormone-Releasing Peptide Promotes Mitochondrial Biogenesis and a Fat Burning-Like Phenotype through Scavenger Receptor CD36 in White Adipocytes. Amélie Rodrigue-Way, Annie Demers, Huy Ong, and André Tremblay, Endocrinology, Mar 2007; 148: 1009 - 1018. Beta,beta-carotene decreases peroxisome proliferator receptor gamma activity and reduces lipid storage capacity of adipocytes in a beta,beta-carotene oxygenase 1-dependent manner. Lobo, G.P. ; Amengual, J.; Li, H.N. ; Golczak, M.; Bonet, M.L. ; Palczewski, K.; von Lintig, J. J. Biol. Chem. 2010, 285, 27891-27899. Chemically distinct HDAC inhibitors prevent adipose conversion of subcutaneous human white preadipocytes at an early stage of the differentiation program. Catalioto, Rose-Marie, Maggi, Carlo Alberto, & Giuliani, Sandro 2009. Experimental cell research; 315: 3267-3280. Expression of apolipoprotein C-IV is regulated by Ku antigen/peroxisome proliferator-activated receptor gamma complex and correlates with liver steatosis. Kim, Eun, Li, Ke, Lieu, Charmiane, Tong, Shuping, Kawai, Shigenobu, Fukutomi, Takayoshi, et al. 2008. Journal of hepatology; 49: 787-798. Identification of MicroRNAs that control lipid droplet formation and growth in hepatocytes via high-content screening. Whittaker, Ross, Loy, Patricia A, Sisman, Eugene, Suyama, Eigo, Aza-Blanc, Pedro, Ingermanson, Randall S, et al. 2010. Journal of biomolecular screening : the official journal of the Society for Biomolecular Screening; 15: 798-805. In vitro interaction between mouse breast cancer cells and mouse mesenchymal stem cells during adipocyte differentiation. Xu, Feng, Gomillion, Cheryl, Maxson, Scott, & Burg, Karen J L 2009. Journal of tissue engineering and regenerative medicine; 3: 338-347. Knockdown of FABP5 mRNA decreases cellular cholesterol levels and results in decreased apoB100 secretion and triglyceride accumulation in ARPE-19 cells. Wu, Tinghuai, Tian, Jane, Cutler, Roy G, Telljohann, Richard S, Bernlohr, David A, Mattson, Mark P, et al. 2010. Laboratory investigation; a journal of technical methods and pathology; 90: 906-914. Mechanisms involved in the cytotoxic and cytoprotective actions of saturated versus monounsaturated long-chain fatty acids in pancreatic β-cells. Eleftheria Diakogiannaki, Shalinee Dhayal, Caroline E Childs, Philip C Calder, Hannah J Welters, and Noel G Morgan J. Endocrinol., Aug 2007; 194: 283 - 291. McDonough, Patrick M, Agustin, Ramses M, Ingermanson, Randall S, Loy, Patricia A, Buehrer, Benjamin M, Nicoll, James B, et al. 2009. Assay and drug development technologies; 7: 440-460. Repression of cellular retinoic acid-binding protein II during adipocyte differentiation. Berry, Daniel C, Soltanian, Hooman, & Noy, Noa 2010. The Journal of biological chemistry; 285: 15324-15332.